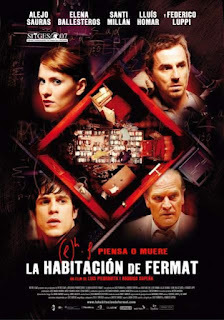 Chrichton's World: Review Escape Room (2019): Good first 40 minutes or so then becomes too ludicrous for words! 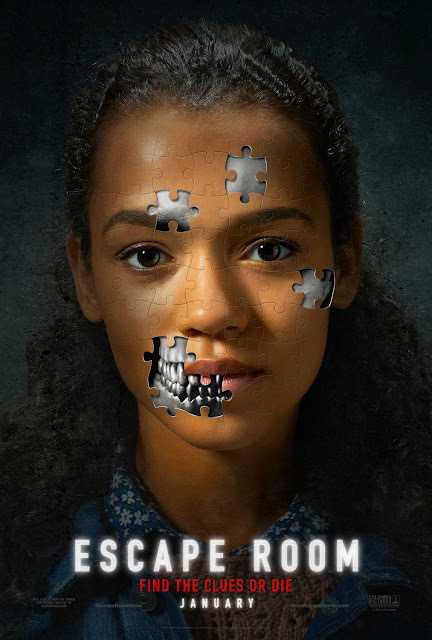 Review Escape Room (2019): Good first 40 minutes or so then becomes too ludicrous for words! Before I start with this review I do have to admit that for the most part I enjoyed this film. But the ending really ruined it for me. Escape Room doesn't waste it's time to get things going. After a brief introduction to the characters events start happening that go from bad to worse. For the first 40 minutes Escape Room is quite thrilling. Although right after first major event things take a turn so absurdly that most of what transpires becomes too ludicrous for words. I was very willing to let convenience and fantastical elements not ruin my viewing experience, But even in fantasy there has to be some kind of logic and reasoning. Escape Room is devoid of this. It doesn't even pretend to be clever. It just throws in random dangers bordering to the impossible in an attempt to thrill or even scare you. Unfortunately this doesn't work if you are trying real hard to suspend disbelief. And it also doesn't help if the dread and terror is absent. I think it's quite obvious that Escape Room wants to be the next Saw. However without the blood, gore and dark atmosphere. A Saw light so to speak. Why? Couldn't they just have come up with something a little more creative? Or some twist that wasn't predictable? And yes, you will hardly be surprised. If you are it's just because of the blatant rudeness of their ambition. I think what really saves this film from drowning is the cast. They are excellent. And do a lot with the little that is given to them. On top of that they make you care about them one minute and dislike them the other. You know like real people. Overall Escape Room is a fine film to watch on a rainy Sunday but can I recommend it? No, it's a little too bland for my taste. I wanted to feel the dread or at least be thrilled and excited throughout. And after a while this film just gives up. So why should I reward their laziness?